I made my first etsy purchase and I am more than thrilled with my item! 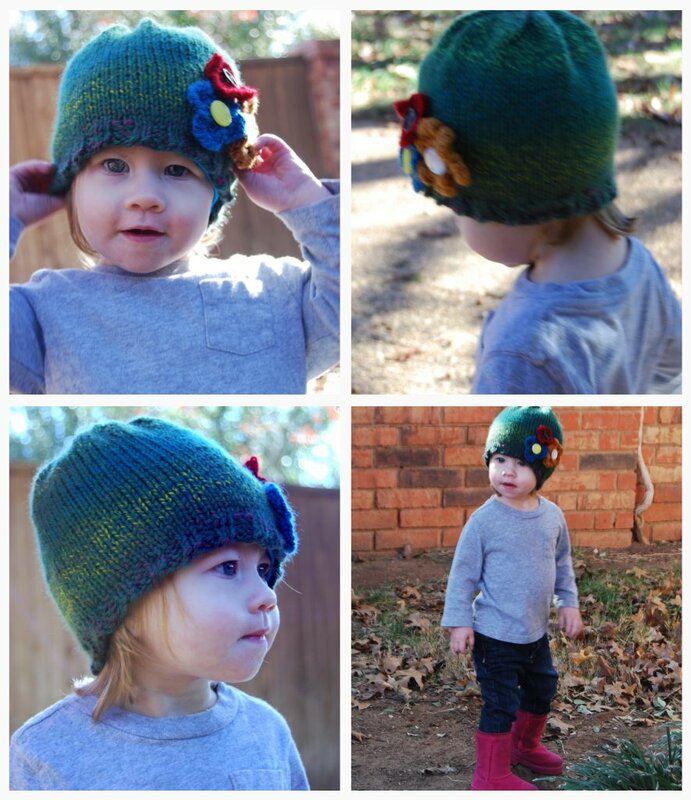 My friend Danica knits these A-MAZ-ING children's hats and they are so cute! Ella just loves her new hat! If you want to look cool like Ella go to Danica's etsy shop here. She also knits ornaments and the cutest little legwormies that might just have to be my next etsy purchase. How cute she looks. Like a little model. I love the hat. LOVE the hat- and it looks even better on sweet little Ella.